Oneida, TN (2018-12-02) After being pushed back 25 hours because of the rainy weather, the 70th Annual Scott County Chamber of Commerce Christmas Parade was held under unseasonable warm and sunny skies on Sunday. 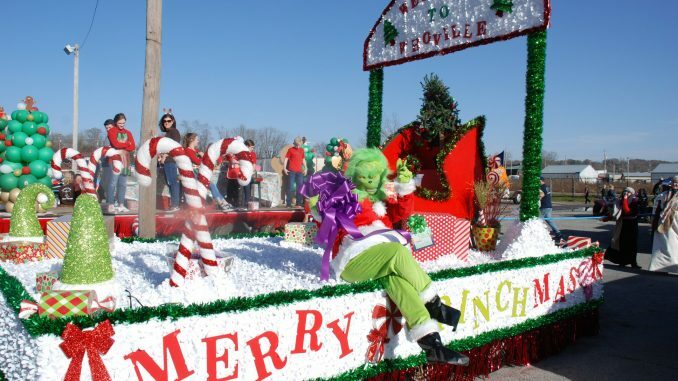 Of the floats entered this year, an elaborate depiction of Whoville by Marlar’s Auto Mart earned the parade’s top prize. 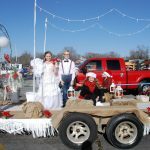 With more than 70 official entries and well over 100 moving elements, the 70th Annual Scott County Christmas Parade was one of the largest in years. 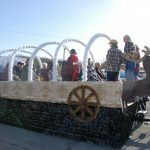 Entries were a blend of floats, pageant winners, marching bands, fire apparatus, antique cars and trucks, motorcycles, and more. While the weather was unseasonably warm, the spirit of the season filled the air, as hundreds of people lined Alberta Street to watch the parade. Young kids waved, as the participants tossed candy to them. And at the end, Santa made his annual appearance bringing delight to all. 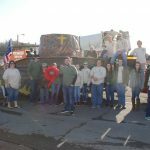 Floats in the year’s parade were again judged in three categories, with one was deemed best of show. Merry Grinch-mas was the Judge’s Choice of all the entries this year. 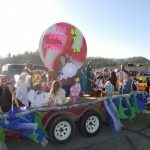 The float, which was entered by Marlar’s Auto Mart of Oneida, was an ornate depiction of Whoville with the Grinch celebrating Christmas will the Whos in the village. First place in the traditional category when to Christmas Traditions, an entry by Scott Appalachian Industries. 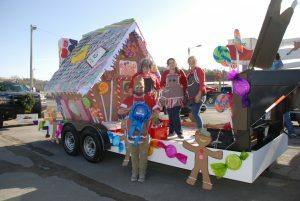 The float depicted a scene where family and friends had gathered to celebrate the season by elaborate cookies and gingerbread houses. South Fork Physical Therapy took home second place in the traditional category with Baking Up Christmas Memories with South Fork Physical Therapy. On their float, everyone had gathered in Grandma’s kitchen to make gingerbread men and other treats. The float was accompanied by several walking characters. 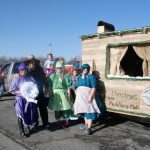 Third place in the traditional category went to Pappy’s Peddlers Mall, which entered a float made up of vintage items depicting a old time Christmas. The colorful, playful Care Bears earned the top spot for Tony Litton presents in the Special category. 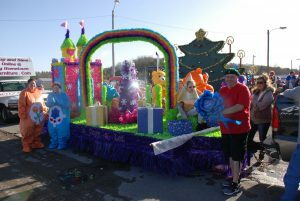 Litton’s float was an elaborate, colorful scene with live characters bringing the magic of the season to life. Stanley Building took second place in the Special category with A Pioneer Christmas. 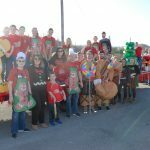 The entry took parade watchers back to the 1800s, where a team of reindeer took a pioneer family home across the Appalachian Mountains to celebrate with their family. A beautiful scene of a country wedding won third place honors for Chitwood Mountain Farms. 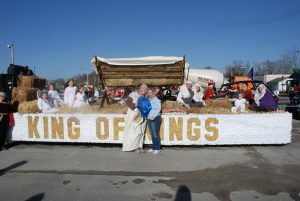 A bigger than life-sized manger filled with hay and gifts for baby Jesus was the basis for an entry by the Clay Hill Missionary Baptist Church. Jesus: Our Past, Our Present, and Future was judged best in the Religious category. An articulating tank was the focus of an entry by the New Light United Baptist Church entitled God’s Army. The tank represented God’s protection for us, and how with His word and His amazing grace sin shall be overcome. The entry took second place honors. Trinity Baptist Church’s Candy Land-themed float won third place in the category with their entry, Tis So Sweet to Trust in Jesus.